How should Christians live, given who God is and what He has done for them? As we look at the second half of Paul's letter to the Ephesians we'll be getting plenty of practical answers to these questions. Walking is a key word to understand how to live the Christian life. It might seem unspectacular but it can have profound and glorious consequences. In Ephesians 6:18, Paul instructs us to "pray in the Spirit, on all occasions with all kinds of prayers and requests." Corrie Ten Boom once asked the question "Is prayer your steering wheel or your spare tyre?" As we read Ephesians we realise prayer was Paul's steering wheel (see Ephesians 1:15-17, 3:14-21, 6:10-20). In Ephesians 4 Paul is reminding his hearers that they are no longer clothed with their 'old nature', but have been made new in Christ when they believed. Marriage is about much more than two people loving each other: it was established by God to show the world the glorious relationship between Christ and His Church. God wants us to live joyous lives in the Spirit, but bitterness and unforgiveness can be a big block to this. We fight this by forgiving others, which we are both commanded to do by God, and are encouraged to do for our own good. The danger for every Christian is that they fail to be transformed into Christ-likeness. 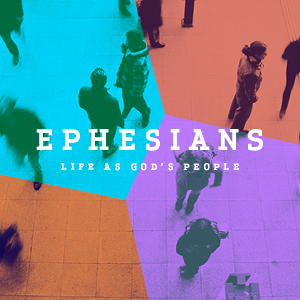 In Ephesians 5 Paul warns Christians not to follow the idolatrous cravings of their surrounding culture, but to self-identify as God's Holy People. Throughout the Bible, God’s people have been marked out from other people groups because they know God and are filled with His Spirit. Encountering the tangible spirit of God was a sign of his blessing and favour (Ez 39:29). Joel promises that in the last days all God’s people will be filled with His spirit. Whatever your employment status, God has work for you to do, and His plan is to bless you in it, bless the world through it, and for Him to be glorified by it. All of us are caught up in a cosmic conflict: there is an enemy who hates God and hates us. We are all vulnerable to him but in Christ, God graciously gives us all we need to stand against him.